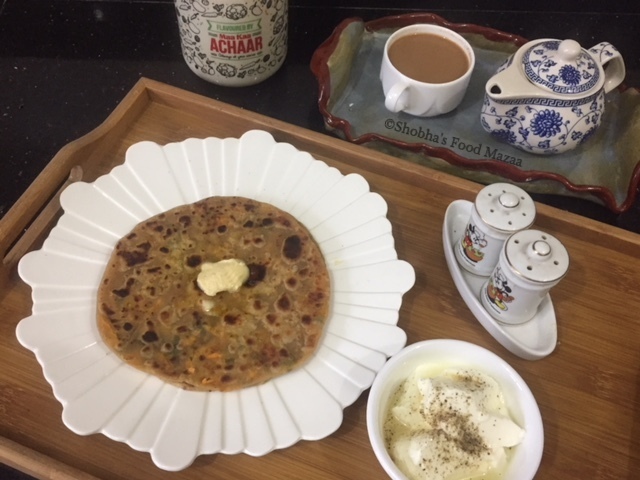 I have tried out parathas stuffed with grated carrots instead of radish for a change. No one at home is actually fond of this vegetable. So I try to add grated carrots to various dishes like soups, koftas..etc. Red chilli powder .. 1/4 tsp. Knead dough for 4-5 parathas adding a little oil or ghee, ajwain and salt. Mix the chillies, turmeric, cumin powder and coriander leaves. Roll out a roti and spoon a little filling in it. Seal the edges and make a bundle. Roll it out again carefully. Roast on a griddle applying a little ghee or oil. what a great way to eat carrots! Lovely parathas, yummy n healthy..
Yummy and healthy parathas, thank you for sending it to the events. wow..such a healthy recipe! love the idea!